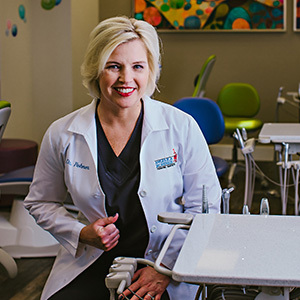 Dr. Angelica Rohner, Birmingham children’s dentist, tells her young patients and parents that a smile’s health and appearance depend on eating wisely. In fact, a nutritious diet preserves teeth and keeps gums pink. Snacks are a big part of that healthy diet. Your mouth is a breeding ground for bacteria. 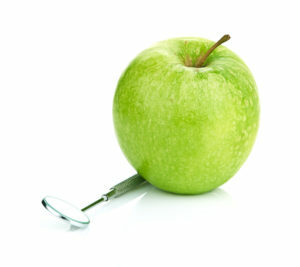 Dentists agree that one kind of bacteria causes decay, and another kind causes of gum disease. Both affect children, teens and adults. While heredity, brushing and flossing habits and systemic health factor into a child’s oral health, foods and beverages do, too. In particular, sugary drinks and snacks, along with other carbohydrate-rich choices, foster bacterial growth in the sticky plaque (also called biofilm) and hard tartar which accumulates on teeth and at the gum line. Left undisturbed, the bacteria in biofilm secrete acids that lead to your kids’ tooth decay and gum disease. Both conditions are prevalent chronic health problems worldwide. To optimize dental health, the American Dental Association (ADA) recommends this rule: think before giving your child a snack. If you reduce starches and acidic foods and increase healthy choices, the changes will show when Dr. Rohner, pediatric dentist in Birmingham, sees your youngsters for their 6-month oral exams and hygienic cleanings. Is Healthy Eating Easy for Kids? Kids need guidance from mom and dad. But, good nutrition is not always easy because American diets are loaded with processed, high-sugar foods. The US Department of Agriculture joins dentists in helping all of us eat healthier and exercise. Check out this website ChooseMyPlate.gov. Your Birmingham dentist says you’ll find ideas for a smile-friendly diet. Fruits, vegetables, dairy, whole grains and low-fat proteins, crowd out unhealthy choices. Good food makes for bright, long-lasting smiles. Read here about the snacks just right for healthy mouths for you and your children. Select high fiber fruits and vegetables. They increase beneficial saliva, and together with brushing and flossing, keep tooth enamel and gums clean. Try for up to four servings of fruit and up to five servings of vegetables during both meal time and snack time. Kids’ favorites include carrots, celery, apples, pears, peaches and many of the fruits of the season. Fruit juice counts, but be sure kids rinse with water or brush afterwards. Choose high-grain, high-fiber cereals and breads–six to eleven servings per day. Eliminate starchy white bread and sugar-laden cereals. Dairy products build bones and teeth. Cheese, milk, yogurt and other dairy products contain tooth-building calcium. They’re are not just for kids. Adults need them, especially as we age. Low fat meats contain amino acids that keep gums healthy. Poultry, fish and eggs have system-wide benefits, too. Push water, at least eight glasses a day. Is water a snack food? Technically, it’s not, but water boosts the metabolism, aids digestion and stops kids from overeating. While 64 ounces of water sounds like a lot, it’s a good goal when spread out through the day. Substitute it for soda pop and sports drinks. What’s Good for Your Teeth? In Birmingham, consult with Dr. Angelica Rohner, pediatric dentist. She believes preventive dental care includes eating nutritious snacks. Contact her office today to schedule a 6-month cleaning and exam for your growing child.